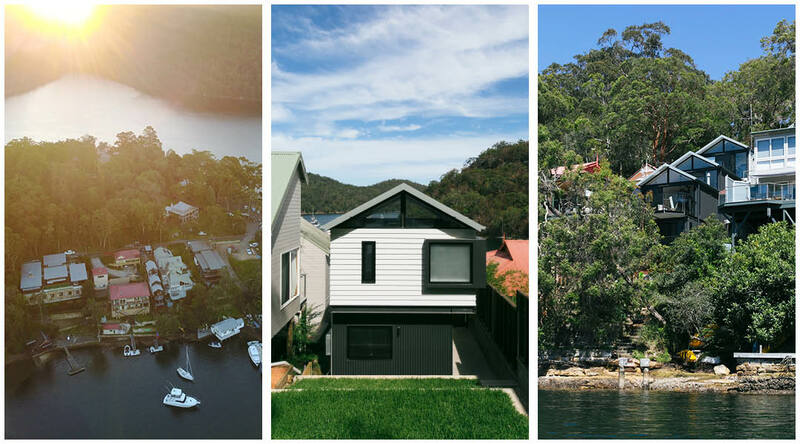 With unrivalled waterfront views, it was important for Emma to design a home that felt spacious, light and made the most of the spectacular views whilst remaining sensitive to the surrounding and capture the essence of the setting. 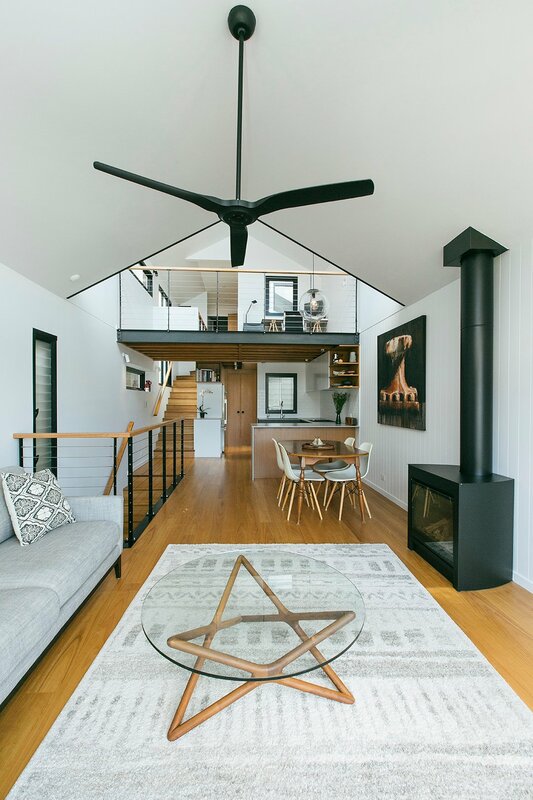 Although building on the sloped narrow site had its challenges, Emma took the opportunity to be playful with the design, ultimately delivering a home with an interesting floorplan spanning over four levels with the clever use of voids and space. “The voids particularly enabled occupier engagement over multiple levels and with the interesting space, allowed for the transfer of light,” Emma says. 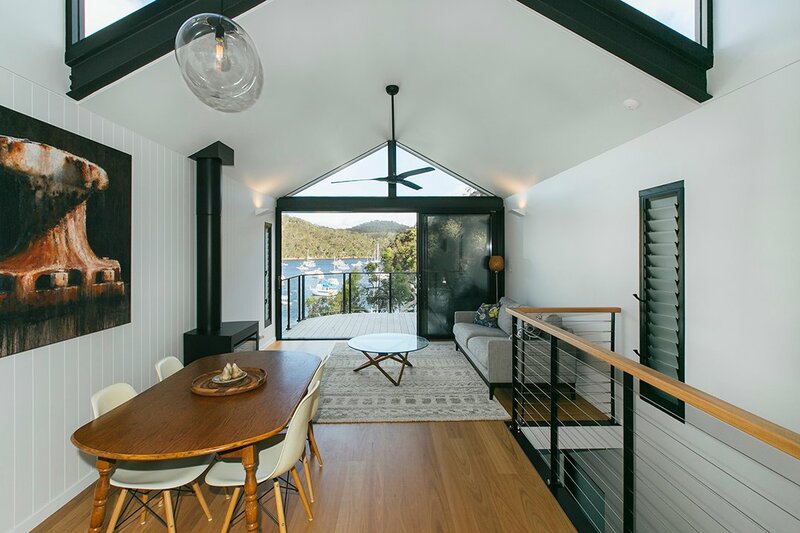 The dramatic cathedral ceilings captured what space was available and Emma’s choice of interior materials was carefully considered to create a calm and uncomplicated palette to compliment the stunning views. As the fireplace is the homes main source of heat, it was essential the fire was capable of heating the entire home. With a maximum heat output of 5.9kW and a 4.9 star energy rating, the innovative Powered Vent Flue System of the DFS730 draws air from outside the home into a sealed unit which will keep Emma’s home free of moisture, fumes and most importantly, create no annoying drafts! Clearly a major advantage over any freestanding wood fire, the DFS730 doesn’t create ash or hot debris so you don’t require a hearth – a must when space is at a premium! Given the limited wall space and the appealing sleek black design of the fire, the DFS730 is an easy choice when it comes to compact home design. 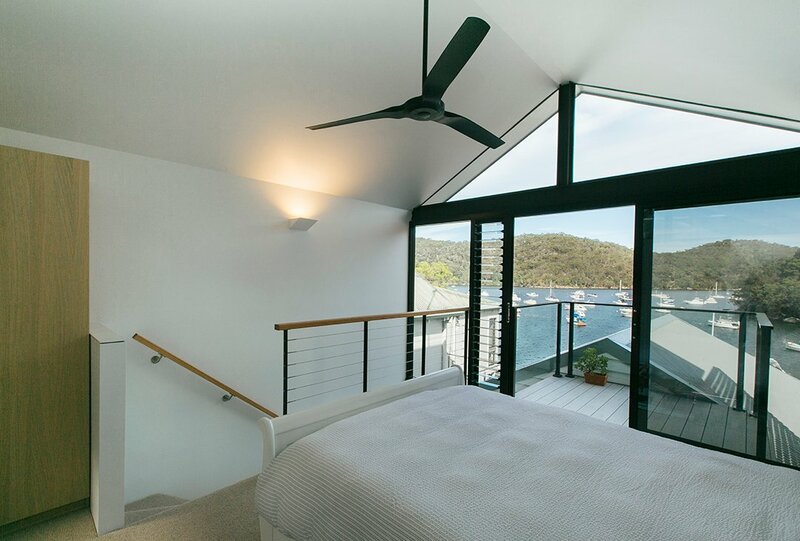 Emma’s clever use of light, storage and spatial design has created a beautiful family home that is not only practical but unfolds down the hillside to reveal a stunning building that was dutifully awarded the 2017 Master Builders ‘Excellence in Housing’ Award. We don’t need enormous homes! Small homes that have been well planned are efficient to run, clean and are comfortable to live in. Check out Emma's business, Emma Holmes Design, here.